Atropine Sulfate Injection, USP is a sterile, isotonic solution of Atropine Sulfate in Water for Injection q.s. Sodium Chloride added for isotonicity. pH adjusted with Sulfuric Acid. Preservative free. Atropine has two actions. The most important therapeutic action is the inhibition of smooth muscle and glands innervated by postganglionic cholinergic nerves. Atropine also has central-nervous system activity, which may be stimulating or depressing depending upon the dose. In the treatment of parkinsonism. Rigidity and tremor relieved by the apparently selective depressant action. In the gastrointestinal tract to relieve pylorospasm, hypertonicity of the small intestine and the hypermotility of the colon. To relieve hypertonicity of the uterine muscle. To relax the spasm of biliary and uretered colic and bronchial spasm. To diminish the tone of the detrusor muscle of the urinary bladder in the treatment of urinary tract disorders. To control the crying and laughing episodes in patients with brain lesions. In cases of closed head injuries which cause acetylcholine to be released or to be present in cerebrospinal fluid which in turn causes abnormal EEG patterns, stupor and neurological signs. In the management of peptic ulcer. In anesthesia to control excessive salivation and bronchial secretions. To control rhinorrhea of acute rhinitis or hay fever. As an antidote for pilocarpine, physostigmine, isoflurophate, choline esters, certain species of Aminata and in cases of anticholinesterase insecticide poisoning. In poisoning by the organic phosphate cholinesterase inhibitors found in certain insecticides and by chemical warfare “nerve gases”, large doses of atropine relieve the muscarine-like symptoms and some of the central-nervous-system manifestations. Adults suspected of contact with organic phosphorus insecticides of the parathion type should be given atropine sulfate, 0.8 mg, intramuscularly. 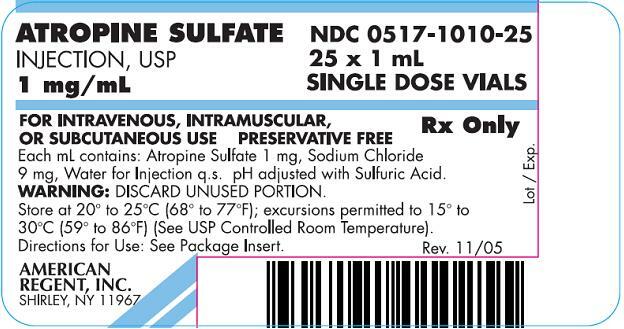 If an atropine effect is not apparent within thirty minutes or if definite symptoms of the poisoning occur (nausea, vomiting, diarrhea, pupillary constriction, pulmonary edema, fasciculations of eyelids and tongue, jerky ocular movements, and excessive sweating, salivation, and bronchial secretion), atropine sulfate, 2 mg, should be given intramuscularly at hourly intervals until signs of atropinization are observed. Up to two or three times this dose (4 to 6 mg) may be required in severe cases. Removing contaminated clothing, washing the skin, and commencing artificial respiration and supportive therapy are also indicated. Conditions in which inhibition of postganglionic cholinergic nerves are undesirable, such as glaucoma and tachycardia. Also contraindicated in asthma, because the parenteral dose which might relieve asthma would have an excessive drying effect upon mucous plugs in the bronchi. Prostatic hypertrophy, while not a contraindication, requires special attention to signs of urinary retention. This drug is effective in very low dosage and overdose may cause permanent damage or death, especially in children. Doses of 0.5 to 1 mg of atropine are mildly stimulating to the central nervous system. Larger doses may produce mental disturbances; still larger doses are depressing. Death from atropine poisoning, though rare, is usually due to paralysis of the medullary centers. Pregnancy Category B. Reproduction studies have been performed in mice in doses of 50 mg/kg of body weight and have revealed no evidence of impaired fertility or harm to the fetus due to Atropine Sulfate. There are, however, no adequate and well-controlled studies in pregnant women. Because animal reproduction studies are not always predictive of human response, this drug should be used during pregnancy only if clearly needed. Toxic effects from overdosage of atropine are not uncommon, especially in children. Individual tolerance varies greatly, but these systemic doses are likely to produce the following effects. Slight dryness of nose and mouth; bradycardia. Greater dryness of nose and mouth, with thirst; slowing then acceleration of heart; slight mydriasis. Very dry mouth; tachycardia with palpitation, mydriasis, slight blurring of near vision; flushed, dry skin. Increase in above symptoms plus disturbance of speech; difficulty in swallowing; headache, hot, dry skin; restlessness, with asthenia. Above symptoms to extreme degree, plus ataxia, excitement, disorientation, hallucinations, delirium, and coma. A scarlatiniform rash may occur. Atropine may produce fever, particularly in children, through inhibition of heat loss by evaporation. Although large doses of atropine may cause an alarming condition, recovery is usual. In the treatment of atropine poisoning, respiratory assistance and symptomatic support are indicated. Pilocarpine is sometimes given but is of limited value. 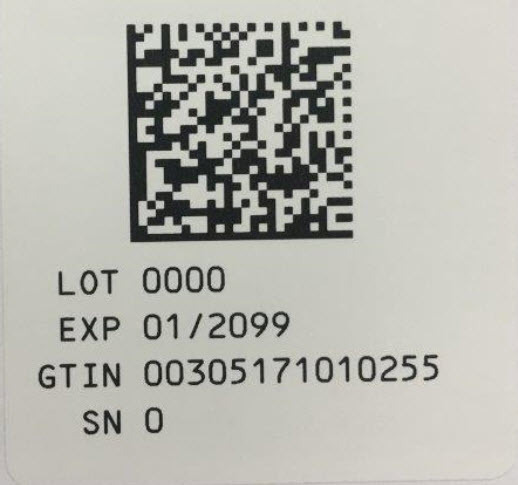 If marked excitement is present, a short acting barbiturate, chloral hydrate of paraldehyde may be used for sedation. Large doses should be avoided if possible and must be carefully controlled so that they will not add to the depressive stages of atropine poisoning. Artificial respiration with oxygen is necessary when respiration is depressed. Depression may be controlled by use of caffeine, sodium benzoate or picrotoxin together with the inhalation of oxygen. As a physiologic antidote, neostigmine methylsulfate may be given by intramuscular injection in doses of 500 mcg to 1 mg and repeated every 2 to 9 hours. Remaining therapy is purely symptomatic. Icebags and alcohol sponges help to reduce fever, especially in children. Careful nursing is essential. The room should be darkened, because of the patient’s marked photophobia. As indicated previously, however, these doses may be considerably exceeded in certain cases. 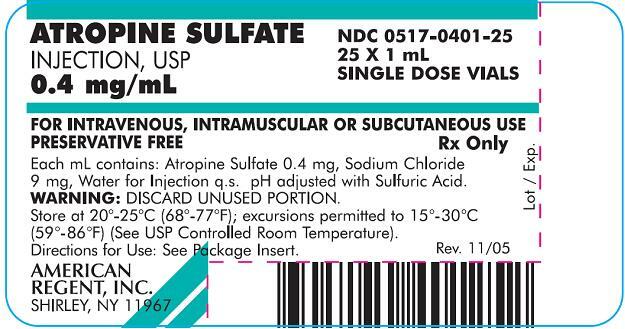 Each mL contains: Atropine Sulfate 0.4 mg, Sodium Chloride 9 mg, Water for Injection q.s. pH adjusted with Sulfuric Acid. 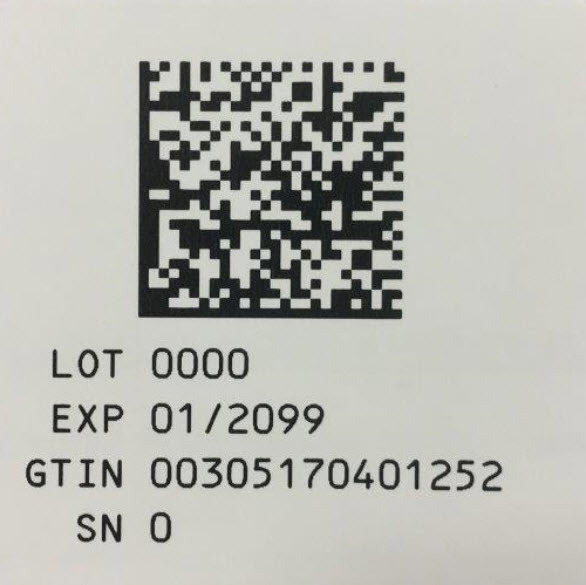 Store at 20º-25ºC (68º-77ºF); excursions permitted to 15º-30ºC (59º-86ºF) (See USP Controlled Room Temperature). Directions for Use: See Package Insert. Each mL contains: Atropine Sulfate 1 mg, Sodium Chloride 9 mg, Water for Injection q.s. pH adjusted with Sulfuric Acid. WARNING: DISCARD UNUSED PORTION. Store at 20º to 25ºC (68º to 77ºF); excursions permitted to 15º to 30ºC (59º to 86ºF) (See USP Controlled Room Temperature). Directions for Use: See Package Insert.